Do you love home organization? Are you inspired by fresh ideas to declutter, practical solutions for home, or creative ways to be more productive in less time? Check out this post for 10 of the Best Home Organization Blogs out there! Home organization tips, storage solutions, time tactics, and menu planning are Laura Wittmann’s specialty! She established Org Junkie in 2006…Wow, that’s over 10 years ago! That’s like 70 years in blog years!!! Her blog is rich on content, practical ideas, and real solutions. Fun fact, Laura also lives in Alberta, Canada. We’re practically neighbors 😉 Okay, maybe not, but it feels like it on the www! In 2010 Laura published her book, Clutter Rehab. Dana is funny, down to earth, and full of real-life wisdom. In addition to her blog, she has a podcast and a couple of books. Dana shares realistic home management strategies and a message of hope for the hopelessly messy. She invites her readers to “join her on her deslobification journey.” Ha! I love Abby at Just A Girl & Her Blog. When you read her posts it feels like you’re talking to a friend. She’s sweet and relatable. Abby shares organization, productivity, and decorating tips. In addition to the blog, she has a YouTube Channel (Abby Organizes) and a Printables shop. Fun fact, she and her husband and sister all help to run the blog. She’s keepin it in the fam! Check out site and take her free organizing style quiz. Katie helps moms create systems and routines that work! She focuses on decluttering and organizing, time management, routines, meal planning. If you’re more of a visual learner, you should check out Katie’s short videos with home organization / decluttering tips. They are on the side bar of her posts! At Organizing Moms you’ll learn how to Create a realistic system or routine that works for you! Crissy is from the UK and has been helping people organize and declutter since 2005 when she started her own home styling business. On her blog, Organise My House, she helps people organize and declutter their homes and learn time management practices. Crissy offers free printables and share’s her specific method to decluttering. While your there, you should also check out her planners, home management binders, ebooks, and courses. Melissa George lends her professional project management skills to the home organization space. She shares organization with cleaning and decorating. Her beautiful site is full of eye candy and clever ideas. Melissa’s work has been featured in print in Better Homes & Gardens and Room to Create Magazine, and online by HGTV, House Beautiful, Buzzfeed, & more. Toni’s organizing website inspires thousands of people around the world to get their lives in order. Every January, she hosts a popular 14-week organizing challenge, aimed at helping others conquer clutter. I met Flavia through the Elite Blog Academy at the Activate Conference and we became fast friends. She is one of the sweetest and most genuine people you’ll ever meet. At Neat House Sweet Home, she shares practical tips about home organization and cleaning. I’m on a mission to simplify my life, keep my house organized, and enjoy my daily to-dos by implementing stylish organization systems that will translate into a happy state of mind. Flavia is an engineer by training and shares “the engineering background makes me precise, neat, and a perfectionist”. The artist in me balances out those moments when I want to go ‘by the book’ and allows me to create beautiful things. Flavia’s site is beautiful with a ton of practical ideas! If you’re looking for home solutions you can implement over the weekend, the Our Home Made Easy is the place for you! Brittany loves the process of finding better ways to tackle projects. She shares home organization, productivity tips, meal planning ideas, and cleaning hacks for real people. There you have it. Ten fabulous home organization blogs by ten inspiring women! 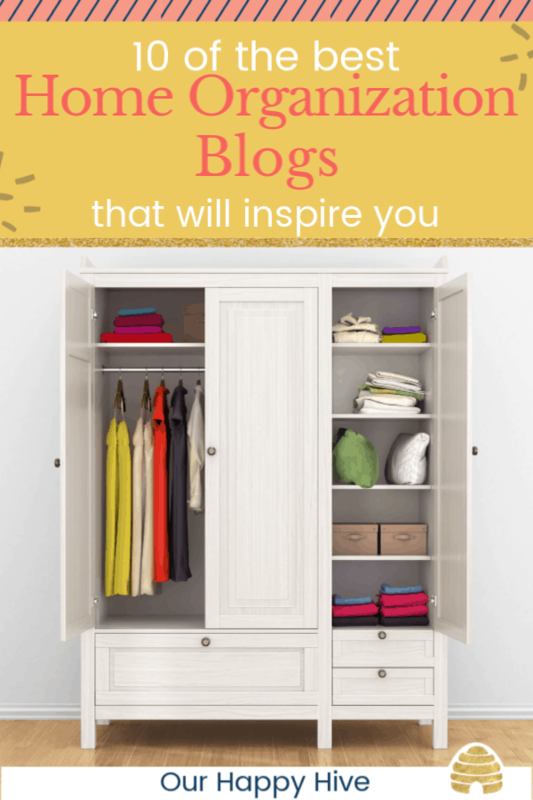 If you’re looking for a method that works for you or an idea to declutter and organize a specific area of your house then check out these blogs or one of their books! 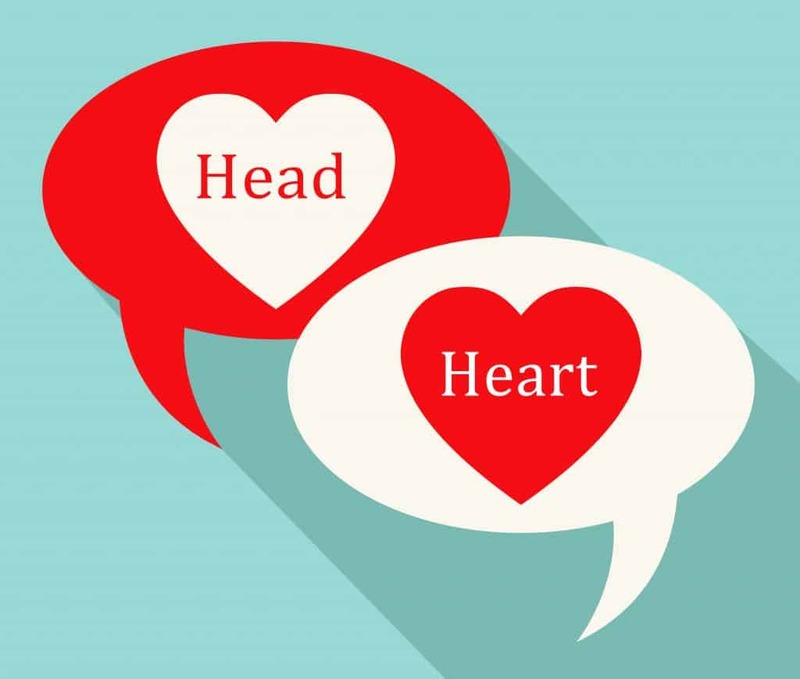 Have you ever considered that we have a logical and emotional side to our brains? We deal with both sides when we try to declutter and face guilt for discarding and letting go of things that were once important to us. 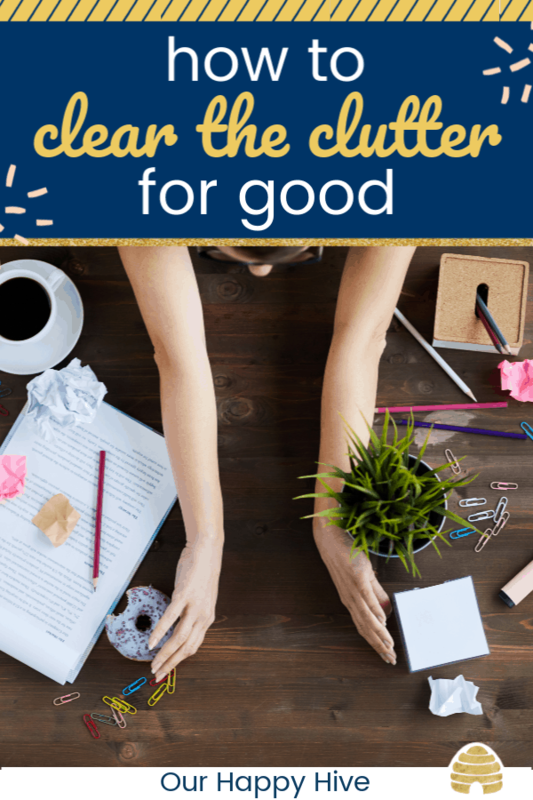 If we want to be successful in this endeavor, we need to know how to deal with decluttering guilt. Recently, my two-year-old entered that phase…you know, the one that everyone talks about. He insists on having his own way, can be difficult to reason with, and becomes very focused (obsessed) on doing things by himself. I’ll admit, his obstinance has pushed me to the edge some days. When researching how to parent him, I read a great article about how young kid’s brains are different than adult brains. They are basically 100% emotional and 0% logical. So, “reasoning” with them is ineffective. You have to appeal to their emotion. Instead of saying to my toddler, “you need to ride in your car seat because it’s safer,” I say “I know you’re upset that you can’t stand up in the car while we’re driving…it’s fun to stand up isn’t it? I’m sorry you’re not happy.” I validate his feelings, speak in emotional language, and let him know that he’s been heard. The same is true with adults at times. There are areas of our lives where we have to appeal to the emotional side and not just the logical side. Decluttering is one of those areas. If we merely look at decluttering from a rational perspective, then, we’ll face guilt when trying to get rid of things that are important and hold sentimental value. In this post, we’ll look at strategies to deal with both sides of our brain, the emotional and the logical side, so that we can get past decluttering guilt and freely let go of things we no longer need. Why is this item important to you? Did the item cost a lot of money or was it something you worked hard to receive? When did you get the item? Or Who gave you the item? What meaning did it have for you when you acquired it? Why don’t you use the item now? What role does it play in your life now? Once you understand your emotion associated with the item, try to speak to that need. For example, this item is important to me because it belonged to my mom or my grandmother. Consider if there is another way you can treasure that memory like taking a picture of it, writing about the memory in a journal or keeping only part of the item? As an example, I have part of my mom and my grandmother’s wedding dress, but not the entire dress. My Sister-in-law had a handkerchief made out of their garments. I carried that handkerchief at my wedding and now have it framed in a shadowbox on the wall. It’s not two full wedding gowns, but it is a paired down piece of each of our special days. Bottom line, to address your emotional side, recognize your “why” – acknowledge it. Give it permission, then appreciate that there are other ways you can value its memory. Unlike a young child, adults can reason with themselves and use logical information to address emotional needs. The next group of recommendations takes more of a logical approach, they can help reduce guilt and speak to your emotions! Many times, we need to simply tweak our perspective to allow ourselves to move on. Consider the following. The things you have a hard time letting go of, are you really doing them justice by burying them deep in your closet or storage area…putting them on a shelf and never using them? What if there was a way it could be used and brought back to life again? Envision the item you love being used by someone else who loves it and was looking for that very thing. I don’t think we’re alone in this. If you’re tempted to hold onto something for your kids or even yourself, consider if you will really miss it when it’s gone. Some of the time, all we really need to do is to give ourselves permission to let go of something. As a really practical person, I felt I could only get rid of things that were worn out, didn’t fit, or didn’t work anymore. After reading Marie Kondo’s Life-Changing Magic of Tidying Up, I added new criteria…if it didn’t bring me joy, I could get rid of it. It gave me permission to get rid of things that didn’t fit my preconceived ideas. You may be tempted to hold onto something because it was a gift. If it’s not something you love, then you don’t need to hold on to it. Consider this your permission to move on! Finally, if you’re still struggling with guilt, take a step back and look at the big picture. What happens if you hold onto everything that passes through your hands? And at some point, you or someone else will have to go through all of it. If you don’t take responsibility, then it will eventually be put on someone else. In our consumer-based society, we need to regularly purge and declutter our home. Things may serve a purpose for a season, but then they can go on to the next person that needs them. You can cherish memories without the actual possession. You can honor a friendship without holding onto the gift. Many times, we keep something because we think someone else wants it. Maybe we keep something because it was given to us by our mom and we think she’ll be really disappointed if we don’t keep it. Other times we save things for our kids hoping they will want it. You can find a new home and bless someone else with your gently used items. Don’t save too much stuff for the next generation. Research shows they don’t really want it anyways. Give yourself permission to let go and move on! It’s easy to accumulate clutter. Sometimes we acquire things through the normal course of life…we start a family, pick up a hobby, or renovate a house. Other times we over-buy and end up with too much stuff. And there are even occasions where clutter enters our house because someone has given it to us or they haven’t taken their belongings with them. These are just a few examples of how clutter accumulates, but did you know there are numerous things you can do to help keep clutter away? First, develop a clutter-free mindset. Give yourself permission to get rid of things. Personally, I’ve been guilty of holding onto things because they didn’t meet a set of pre-conceived criteria I had in my head e.g. they didn’t have holes or weren’t worn out. I could still wear them etc. After reading Marie Kondo’s book, “The Life-changing Magic of Tidying Up”, I realized that if I didn’t like something and wasn’t using it by choice, I didn’t have to keep it. I gave myself permission to get rid of it. Boy was that freeing! What criteria do you have for discarding items? Have you limited yourself? Do you need to give yourself permission to get rid of things? Next, make a commitment to act quickly! The longer you hold onto something the harder it is to get rid of. My old room at my parent’s house is a prime example of this. They have my extensive stuffed animal collection from when I was a child. I don’t really care about those items anymore. My daughter has declared that she doesn’t care about my precious Cabbage Patch doll or life-size Raggedy Ann. So, why haven’t I gotten rid of them? Well, it’s hard to get rid of something you’ve had for 30 years. They become nostalgic. So, if you don’t want to end up with your kids stuffed animals someday (ha) make a commitment to act quickly and discard things as soon as they become obsolete to you. Great! Now that you’re in the right mindset and committed to acting quickly. Let’s talk about some simple practices you can do on a daily basis to help keep clutter away. The more small things you do on a regular basis, the fewer decluttering events you’ll need. The other day, we got a Chariot / Bike Trailer for my kids to ride in. My son quickly chose the right side and my daughter reluctantly got the left. The next time they got in the Chariot, can you guess where my son sat? You guessed it, the right side! It was now his side of the Chariot! Humans are funny that way. Often, what we do in the beginning, is the thing that sticks. Do the daily “Hive Five.” Find 5 things every day that you do not need or no longer want. These simple routines are easy and don’t require a lot of time upfront. They are practical ways to keep clutter away! Clutter can easily accumulate in many places including your home, your car, or your purse. We just talked about a number of ways to keep clutter away from your home, let’s consider how to keep it away from other areas as well. The car…this is a total danger zone if you have young kids. I call my back row the goldfish graveyard. It’s easy to accumulate clutter and junk in the car- things I never brought in there, but by taking advantage of little chunks of time, we can stay on top of it. Every time you get out of the car, make sure you and every passenger grabs the trash, cups, backpacks, etc. Clear your car out after each trip. To keep your purse, backpack, or bags sorted, clean them out while you’re waiting. Maybe you’re in a carpool line, waiting for a ballet class to end, or even at a stop light. These little chunks of time can be optimized to help keep clutter away! Do I really need or love this item? For grocery items, will I use this before it expires? Do I need to buy it now or will it go on sale again in the future? if you really need the item and if you can use it before it expires. 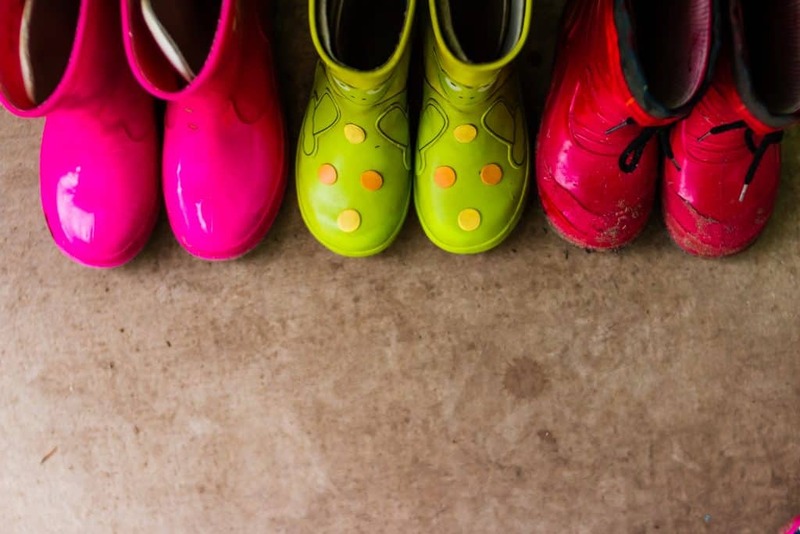 Another common clutter trap is vacation swag. It’s easy to feel like you need to get something for family members every time you go away. The kids have come to expect it haven’t they?!? This stuff typically becomes junk in your house. Try not to get it at all, but if you’re compelled, think about practical things you can get. Instead of the keychain that will break in 5 minutes, can you get earphones they’ll use on their next trip? Finally, promotional giveaways are the third common clutter trap we’ll touch on in this post. You go to the bank and they give you a coffee cup, your realtor gives you a calendar, and a family-friendly restaurant hands out small toys to the kids. All of this stuff accumulates in your house and rarely has a home. 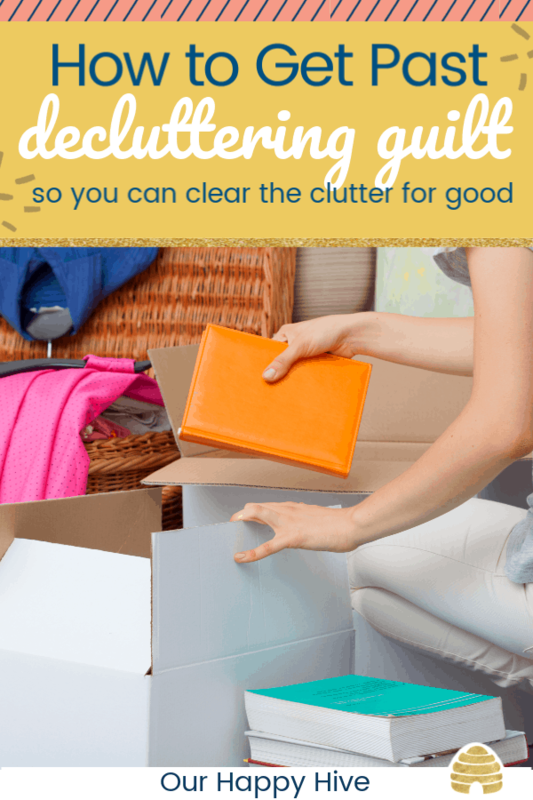 Before you know it, you’ve got clutter! It’s okay to say no to these freebies. Make a practice of not bringing them into your home in the first place and you’ll keep clutter away for good! Decluttering does not have to be a regular event at your house. By having the right mindset, dealing with clutter quickly, and implementing daily routines, you’ll easily prevent unwanted clutter from accumulating. Keeping it out of our house, to begin with is even better! Changing your buying practices and avoiding common clutter traps will help minimize the number of things you need to get rid of and keep clutter away! Eighteen months ago I set out with the goal to start blogging. I committed to myself that I would dedicate at least one year to this new side hustle. The challenge, I have two young kids, a part-time job, no family around except my husband, and what felt like no margin in our lives. Despite having very little time to work with, I was able to write over 100 posts, create thousands of pins, dabble in other social media platforms, and dedicate countless hours to learning about blogging. 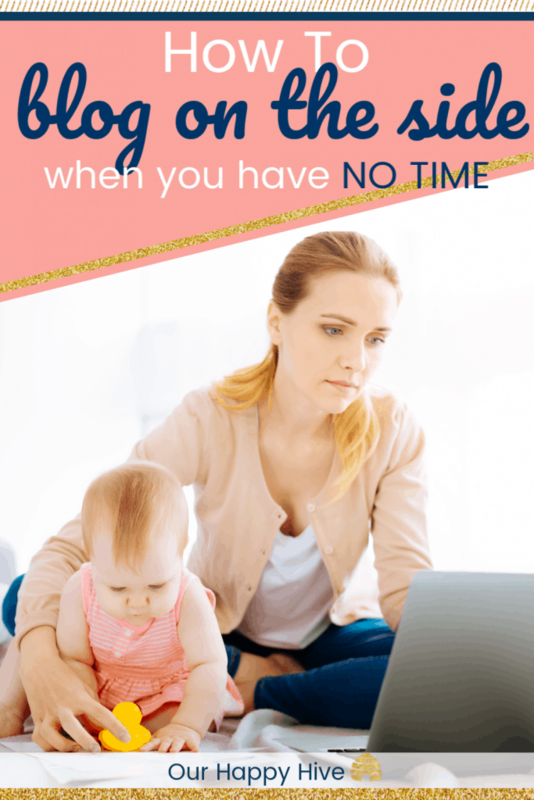 If you find yourself in a similar predicament, read on for practical tips to make time to blog as a side hustle. If you are considering starting a blog, have recently started a blog, or have been blogging for a while, make sure you are uber-clear on your “why.” Why is blogging important to you? What makes it a compelling investment of your time and money? The end goal, what is it? What are you working toward and why is it worth the struggle? By being clear about your why, you’ll make time when you feel like you have none. You’ll stay up late or get up early if that’s your only option. Your “why” will help you get back up when you’ve been knocked down, set back, or disappointed. Next, define how much time you can commit. What’s realistic for you? Are you working a full-time job? Do you have young kids? Maybe your spouse travels a lot. The reality is, we all have different constraints and if you’re starting a blog as a side hustle, you need to be clear about those constraints and how much you can squeeze in. Some people dedicate 10 hours a week because that’s all they have. Other’s do 20 hours. While others are able to fit in 40 hours. The point, there’s no right or wrong answer. True, it might take you more time to make traction with your blog if you’re only able to dedicate 10 hours a week, but it might not. I know of other successful bloggers that have made that model work! It’s not about how much time you spend, but the focus and quality of the time. It’s good to have a goal and then to hold yourself accountable to that goal. Be realistic! As a third step, be upfront about the trade-offs. There will be trade-offs. For me, I get less sleep. I spend less time surfing the internet or doing hobbies than I used to. There are times when my family is outside playing and I’m working on the blog. By acknowledging the costs and the trade-offs up front, you are better prepared for when they come. To be honest, the trade-offs can be tough in the here and now. It’s important to make sure you have a support team to encourage you in the difficult times and help fill in the gaps when you need it. If you have a young family, it’s worthwhile to make sure you and your spouse are on in agreement about the priority of blogging. If you’re blogging as a side hustle, it will bleed into your family time. There are just so many hours in a day. My husband and I work hard to be on the same page regarding the priority of the blog. We have conversations about the end goal and why this is an important endeavor in the long run. We remind ourselves of the original vision and how this blog is not a hobby, but a business that I’m growing. His support is priceless to me and allows me to work on this side hustle in any crack or crevice I can find. In more ways than this, I am blessed to have him as my partner! Maybe it’s not a spouse for you, then find a friend to be your champion. I jokingly call one of my dear friends the “President of my fan club.” She consistently shares my posts on Facebook, comments on my posts, tells her co-workers about my site and asks me how things are going. She encourages me during difficult times. Everyone needs a Natalie! So, you’ve defined your why and how much time you can spend. You’ve acknowledged the tradeoffs and built a support system. Next, you need to find your zone. Some people work better in the morning and others at night. Some families have margin in the morning and others at night. Figure out where your zone is. What works with your family’s rhythm. Do your kids wake up super early? Do they require 110% of your attention? Then the morning probably isn’t the best time for you. Do you find yourself with heavy eyelids after 7 p.m.? If so, then the evening might not be the time for you. 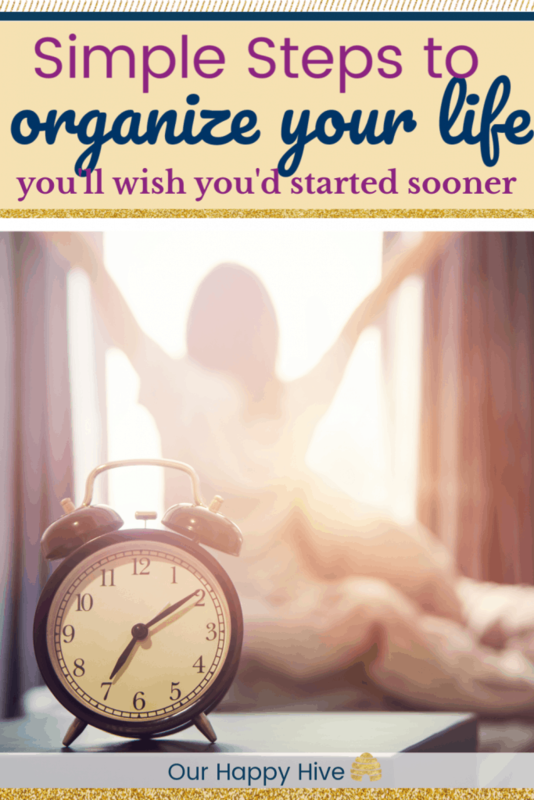 I know many bloggers that get up before the crack of dawn and they find this as their most productive time. I wanted the mornings to work for me, but they didn’t. While I personally had energy in the morning, it was totally dependent on my having a good night sleep (ahem how many kids or pets were in our bed, who was sick, and how late I got to sleep). My ability to focus and get work done in the morning was dependent on how late the kids slept. There were just too many variables for me to be consistent in the morning. The evening, on the other hand, was my zone. With the kids in bed, I could work uninterrupted and dedicate a solid chunk of time to getting my thing done! More than likely, as a side hustle, you probably have limited time. I’m thinking 20 hours or less. That means you need to be really strategic about how you spend your time. There is endless work you can do as a blogger. There are always more posts to write, more pins to create, and more tweets to tweet. Decide what your goal is and prioritize from there. Are you trying to increase traffic? Then focus on content creation and promotion. Are you at the point where you’re ready to make money? Then product testing and creation are where you may want to focus. Things like updating your Pinterest Board Covers, tweaking your About page, or reading everyone’s comment in XYZ Blogging Facebook Group will not help you reach your goal. Define your goal and be laser focused! One of the things that helped me to know how to approach blogging and how to focus my time was the Elite Blog Academy (EBA). I was so thankful to find EBA. It served as a compass and provided direction for me. I didn’t want to waste time researching and finding untested advice. 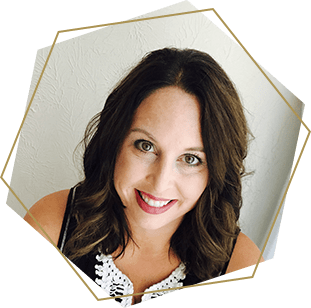 Ruth Soukup and the Elite Blog Academy were a game changer for me and helped to chart my course. 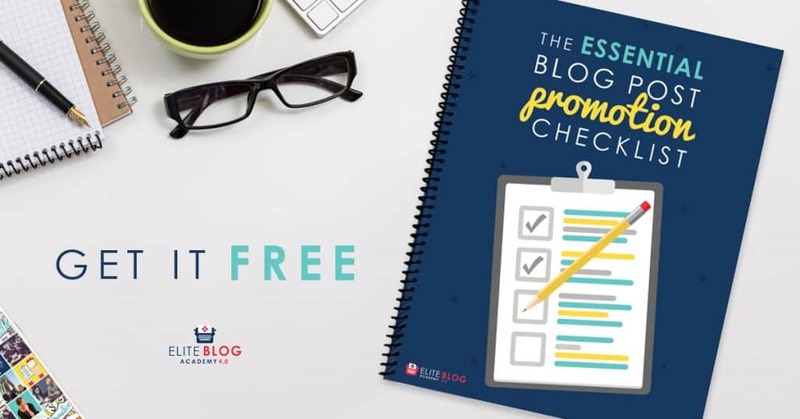 Grab their free Essential Blog Post Promotion Checklist. Last but not least, be determined! For the majority of people, blogging is not a get rich quick type of thing. I’ve heard that on average it can take approximately 2 years to make real money. There will be ups and downs in the journey. Chances are, the less time you’re able to dedicate each week, the longer it may take (there are exceptions to this). Remind yourself of your vision. Remind yourself that it’s a good INVESTMENT of your time to build a business online. It takes very little up-front financial investment and you can do it on your terms as your schedule permits. Bottom line, be committed and don’t give up! Do you want to stop wasting time, reduce stress, and create a culture of ease in your home? One of the best ways to reach these ideals is to be organized. Decluttering, time-management, and strong routines will help you become organized. If you want a sweet family life and want to get rid of the excess fluff, read on for practical steps you can start today. I know many of us feel like we’re just too busy to even think about getting organized. Let me tell you about one (of the many) times this happened to me. It was one of those crazy busy, unpredictable, everyone sick in your family kind of months. Before I knew it, there was a pile of my clothes on the couch in our bedroom. Of course, I was too busy to deal with it so day after day, it remained. One day, I realized this routine I created. Afternoon: I need to deal with that pile! So, during a kid’s nap, I’d begin to sort the clothes into 3 piles on my bed …1) to fold 2) to hang 3) to wash. I’d make some progress and then would be pulled away to a more pressing matter. Night: Oh, I’m too tired for this, I’ll deal with it in the morning. Pile moved from bed to couch. It was clear that EVERY SINGLE DAY I was wasting time doing the same unproductive steps. The reality is, it doesn’t save us any time to be disorganized. It actually costs us time. I wonder how much time I wasted looking for a particular clothing item or moving the pile back and forth. If you’re struggling with disorganization in a part of your house, take the time to get organized. You don’t have to do it all at once, but the sooner you take it on, the more time you’ll have and the easier it is to find what you’re looking for. Here are a few basic rules for getting any space in order. These apply to any space whether you’re starting in the garage, with your clothes, or in a junk drawer. As you go through a pile, stack, or drawer, touch each item once and make a decision about its future. Do you want to keep, repair, or discard? If you plan on discarding, you can donate, sell, recycle or throw away. Getting organized helps you make the most of the time you have. It’s an initial investment of time but will pay off in the long run. Plan your big things first and let the small things fall in between your big items. Often, we do things in the reverse order. We let the small things creep in e.g. stay on Facebook or email a little too long, oversleep, get lost in a book, or sucked into a show. Then, when it’s time to do the important (big things) we don’t have enough time in our schedule. Covey did a great demonstration using the following items. He showed that if you start with water and work your way up to the big rocks, that there’s no way everything can fit in the jar (your metaphorical schedule.) But, if you do it the other way around and put your priorities first…the big rocks in first, then the medium rocks, then the small rocks/sand, and then the water, everything can fit into your schedule. The bottom line, prioritization is key to making the most of your time and increasing your productivity with the time you have. Grab a copy of my Time-Blocking schedule at the bottom of this post. It’s a really practical way to block out the priorities or commitments your family has on a weekly basis. It allows you to visually see where your big blocks fit each week and the time you have to “play” with for other items. By improving your prioritization and time management, you will become more organized each day and minimize the stress that’s felt every time you face a deadline or scheduling conflict. Kids as young as 2 or 3 can understand these sorts of routines. They come to expect the next step and can easily begin to take ownership of themselves. Maybe you’re always losing your keys, phone, or wallet. If there’s something you have difficulty keeping up with, you can make a routine to place it in a specific location when you walk in the door, or just before you got to bed at night. Our nanny and daughter, made a little wooden box for my husband so that he could store some of the items he frequently misplaced. This physical addition to our home made a huge impact on his organization. Zooming out a little, weekly routines are the things that give a cadence to family life. For our family, I work on certain days, we have playdates on other days, it’s pancakes on Saturday’s and church on Sundays. This predictability helps with time management and prioritization, like what was mentioned in the previous section. 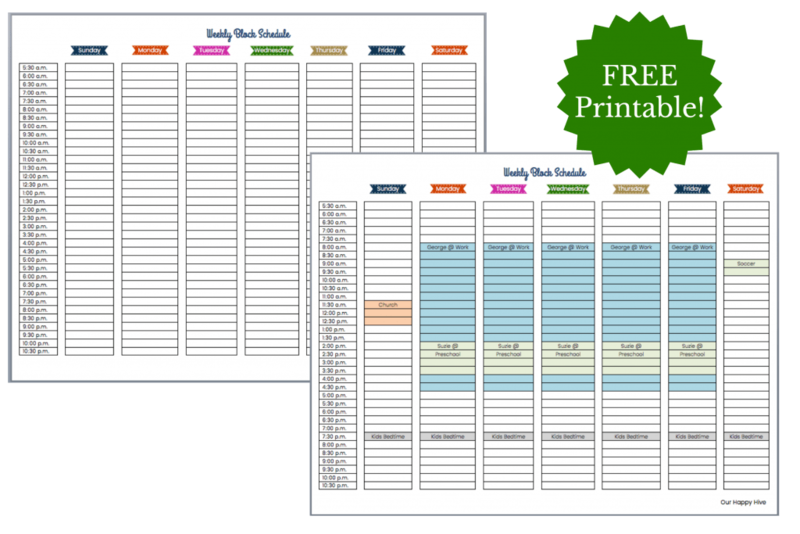 The Time Block Scheduling tool can help you create your families’ weekly schedule. Getting your home organized helps your mental clarity. Prioritizing and managing your time improves your productivity. Establishing routines makes life easier. This trifecta can do wonders to help you become more organized and less stressed. Take a moment to write down the area that needs your attention the most and decide, what are you going to start today?! ?